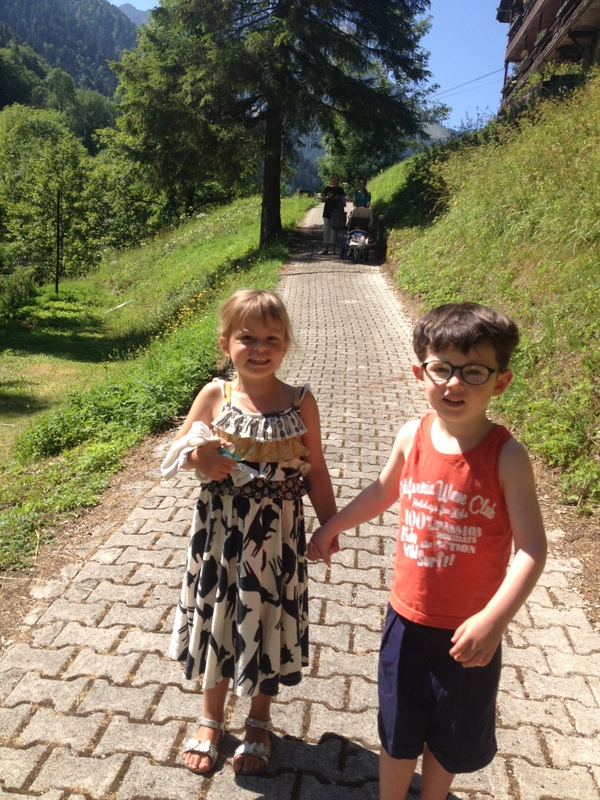 We have had several fabulous days out as a family and with friends at the Fish Farm in Thones. I would highly recommend this place for a trip out – where you can combine an activity (trout fishing) with a fabulous lunch afterwards (or before), all in an idyllic setting. We tend to get there around 11h00 and have an early lunch. You can of course go there just to fish. Although relatively unknown, The Montremont fish farm has been in place for the past thirty years. It’s a nestled away at the end of a beautiful valley surrounded by nature – woods, flowers and water! 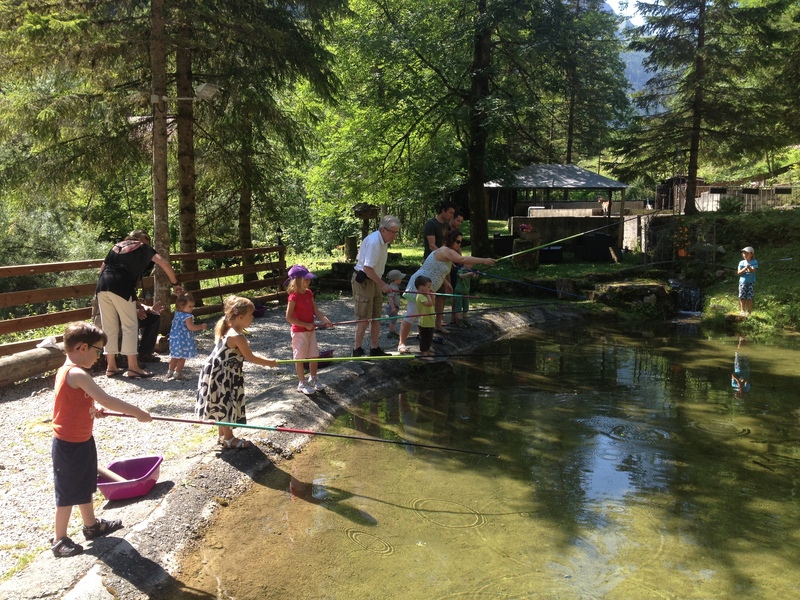 The trout fishing is great fun and a real bonding moment with kids… grandparents and parents alike teach the little ones. We discovered this place through my parents in law. 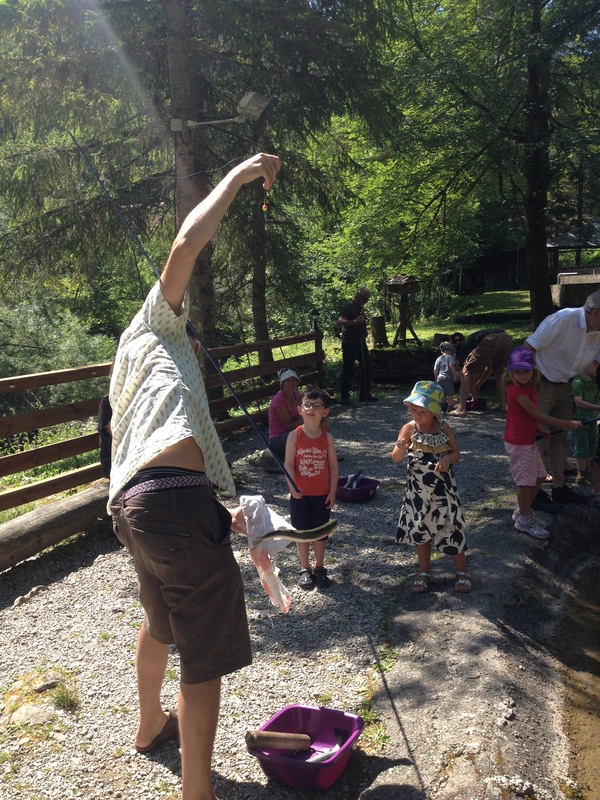 There are plenty of fish for everyone to catch and with a bit of patience all kids seem to manage to catch one! On a practical note: once the fish is caught, you don’t put them back in, you actually kill the fish with the aid of a small wooden stick. Rather worryingly our eldest daughter loves this part, but friends have told me that some children find this upsetting and may need some fore warning… Afterwards you buy the fish you have caught. 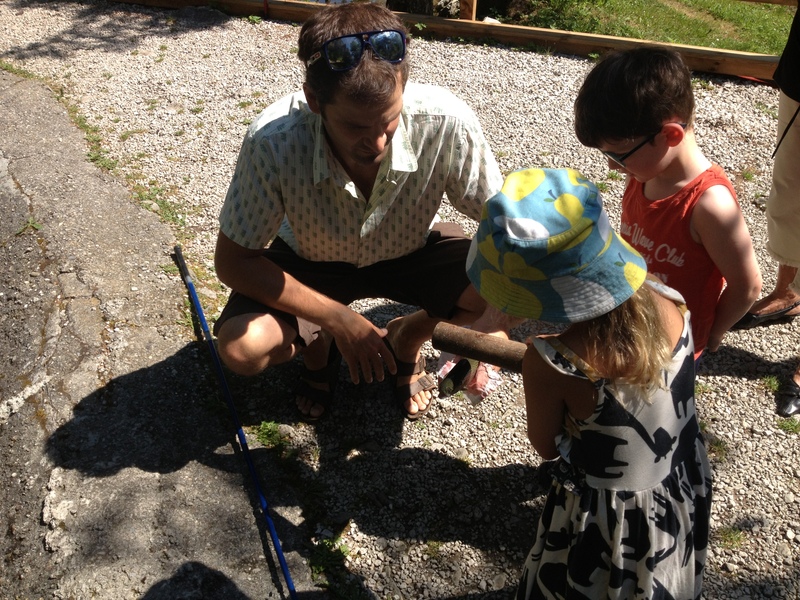 The fish farm will gut and clean the fish and prepare them for you to take home! They cost 10, 50 euros/kilo. 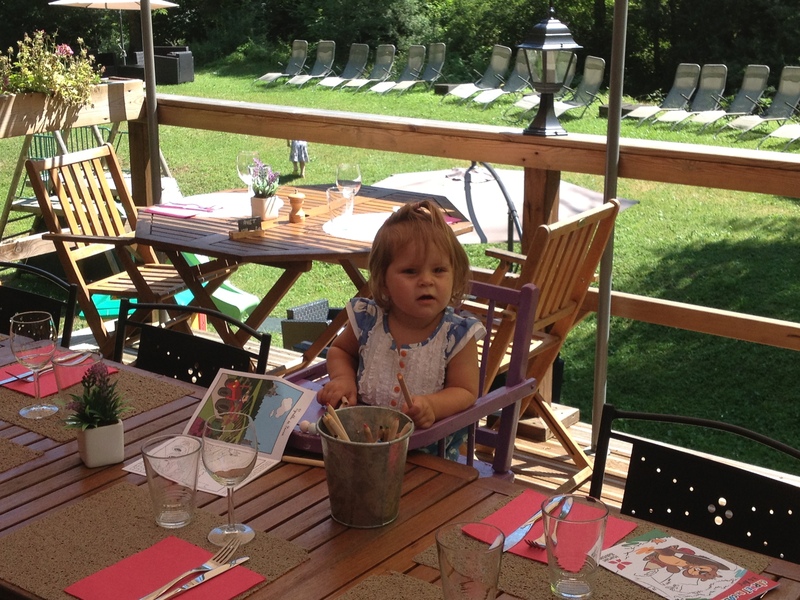 The restaurant is lovely, shaded and great with kids. 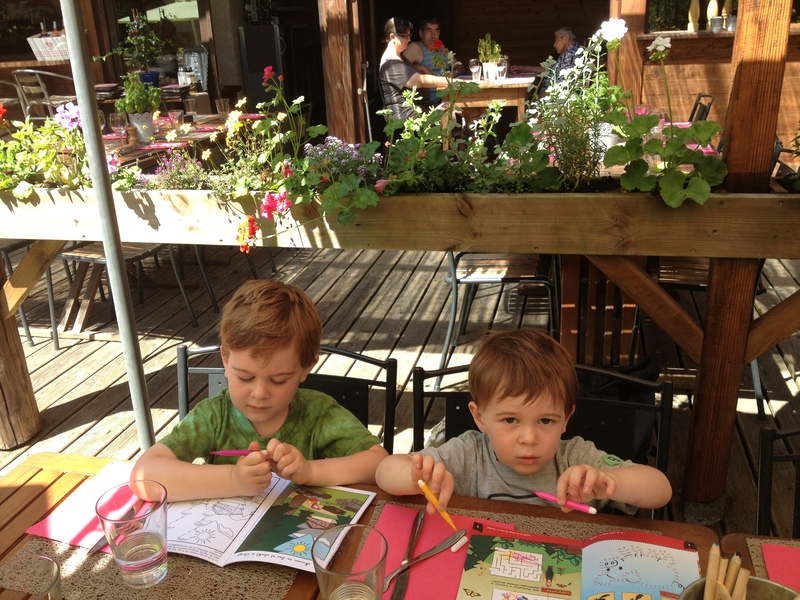 There are healthy children’s menus with options other than steak haché frites – yeahhhh at last! The restaurant unsurprisingly specializes in trout – although there are plenty of other options with grills, salads and homemade desserts. We think that the food is delicious there ! The children are provided with coloring in and pens whilst waiting for their meals and they have high chairs for wee ones (hooorrraahhh). Although I’m not sure how many they have so maybe pre book when reserving. They also have bottle warming facilities.There is a great play area for once the youngsters have eaten…with swings, a slide, a trampoline, a play house etc. all within view of the tables in the restaurant – ideal. There are also lovely shady patio areas where you can have coffees or a drink if you don’t end up having lunch. They only seem to have one toilet, but there are changing facilities for babies. All in all a lovely day out and a great little fish farm! Parc de Merlet - Bambi in Chamonix!